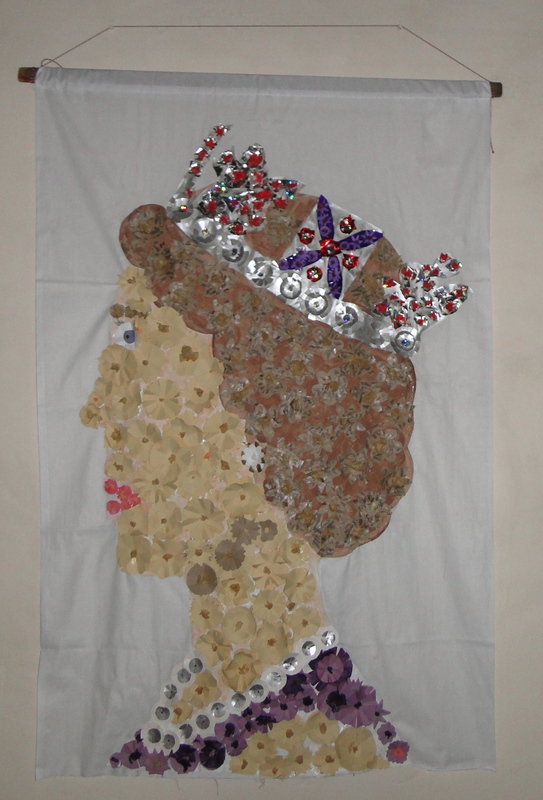 There is a whole area south of Hexham I feel I know quite well, though I have not explored. 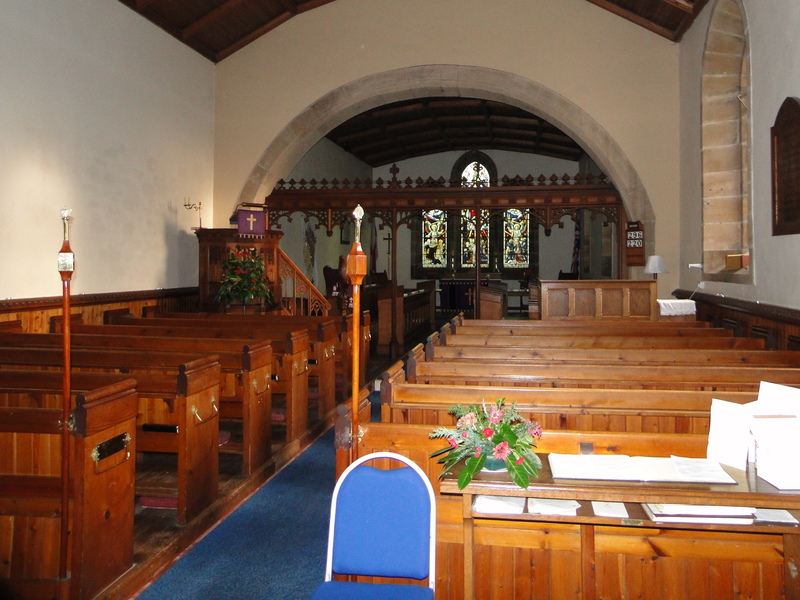 The Moorland benefice – Slaley, Blanchland with Hunstanworth, Edmundbyers with Muggleswick and Waskerley, Healey, and Whittonstall – are looking for a new Vicar, and I got roped in to help them draft the parish profile, the document which prospective applicants are sent. We had an evening at Healey Hall, sat round a table in the library by the light of candles, all trying to agree what made this benefice special, what each community could offer, and what they want in their new Vicar. Then David the Area Dean and I wrote the profile, sent it out to make sure all were happy, and they were. Let’s hope someone applies! 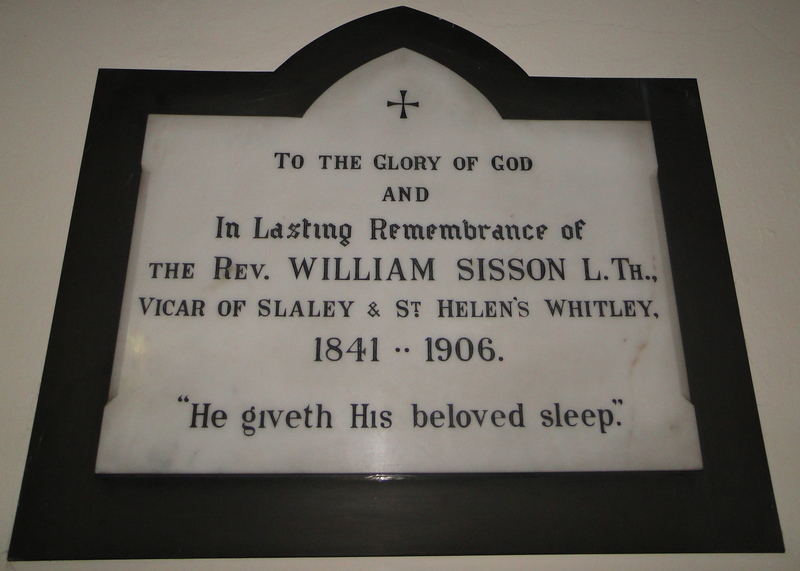 So why is Whittonstall the only church I have visited? After a shopping trip in Hexham I headed south over the hills to Slaley NY973577 – a one street village, shop, pub, school, and “one or two interesting houses” (Pevsner). I stopped outside the little Victorian Church (actually 1832 so just pre-Victoria), walked up through the Lych Gate and opened the church door. A nice simple little interior. I turned round and looked at the West Window. “To the glory of God, and in proud and sorrowing memory of five of my gallant friends, Captains Guthrie, Laymey, Joicey, Ross and Jackson who gave their lives for King and Empire …” – I would love to know who these men were, who is the “my”? The guide leaflet doesn’t tell me – though it says the window was designed by A.L. Moore & Son. Moore was one of nine children of a Clerkenwell clockmaker. In 1871 he founded Gibbs & Moore, glassmakers, then worked on his own from premises at 89 Southampton Row in London. His son joined the firm in 1896, so it became A.L. Moore & Son. They moved to Bedford Way, Russell Square – premises bombed in WW2. They produced over 1,000 windows in the UK and overseas (including one in Healey, just down the road). 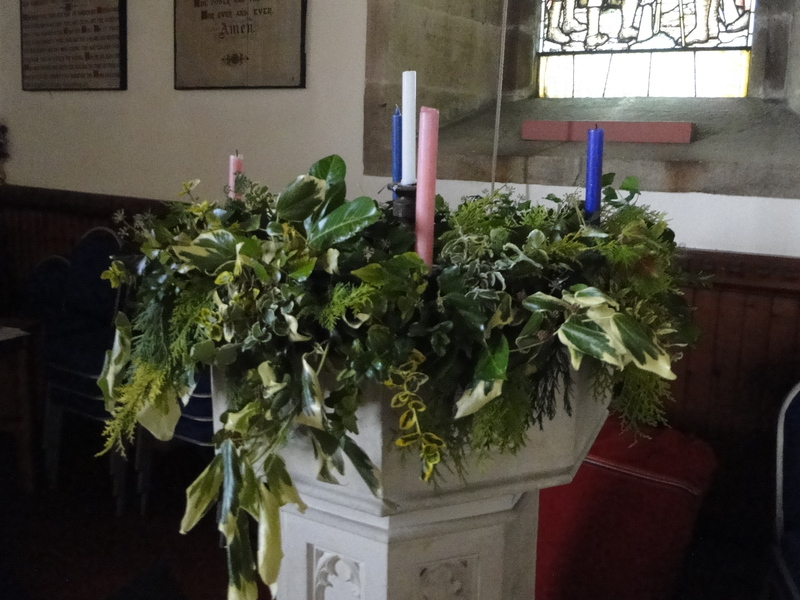 In front of the window they have put their Advent ring on the font (it should only be one pink candle) – Advent light, new life, and the dead of World War 1 received into glory. 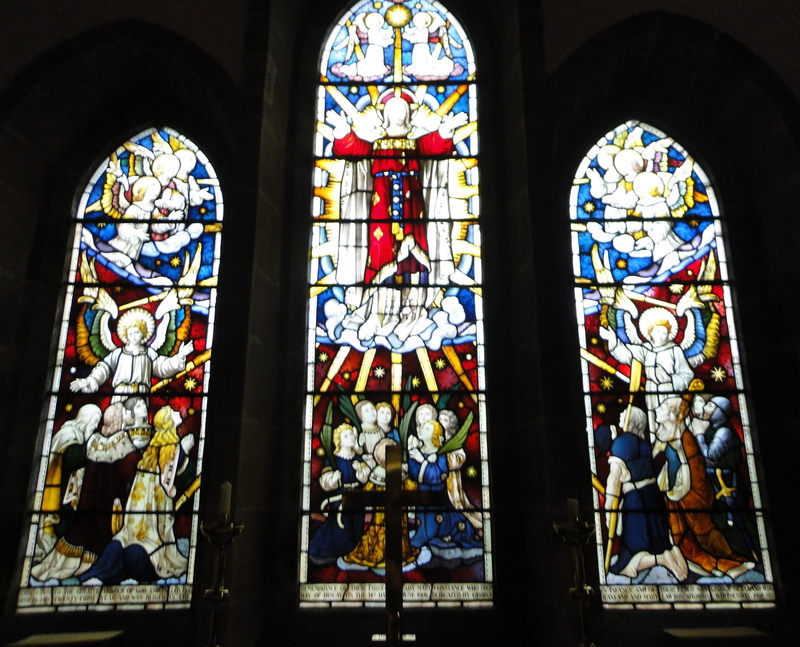 The East Window is by Clayton and Bell and, while we’re on windows, this is in the porch. The Good Samaritan, by Francis Philip Barraud of Lavers and Barraud (the firm also put windows in at Hunstanworth). 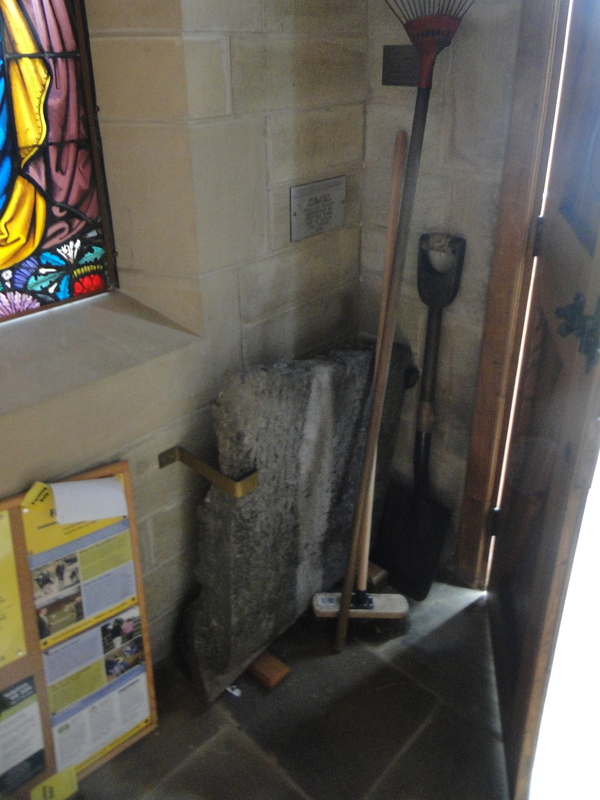 Also in the porch is the headstone of Richard Teasdail, who died in 1635. 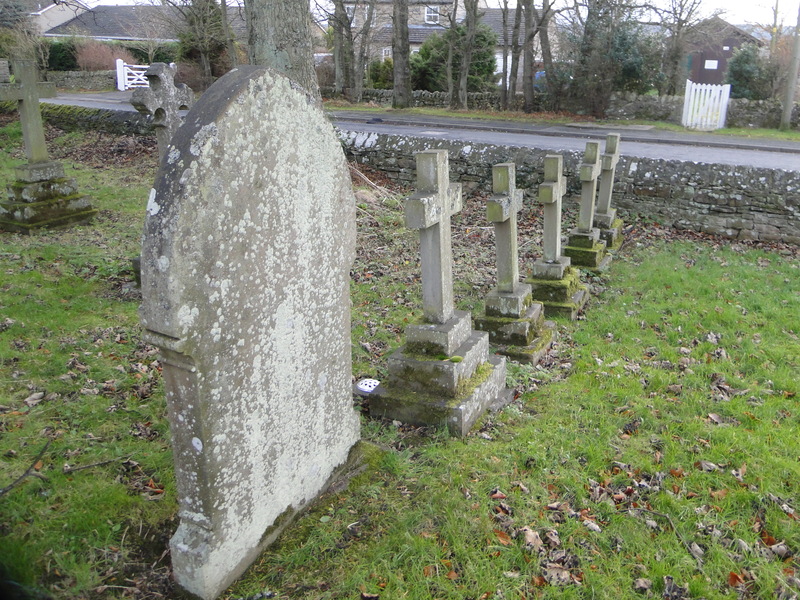 The leaflet says it is “thought to be the oldest headstone in the County of Northumberland”. Pevsner does not mention it. 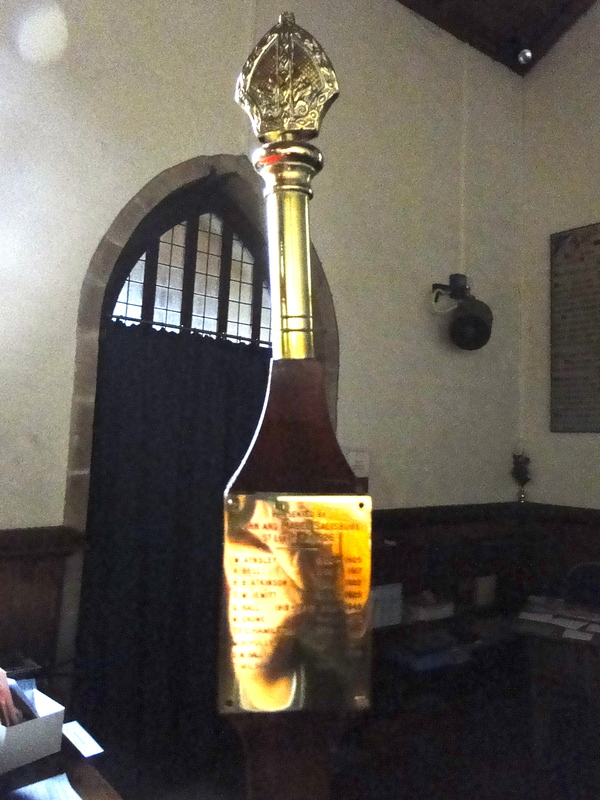 Also in the church is a nice wooden pulpit and lectern – and some nice Advent flowers – an interesting banner of Her Maj, a splendid lion, churchwarden staves engraved with the names of the wardens, and a memorial to a man who served in Whitley Chapel from 1841-1906, and gained Slaley in 1854 – I bet that when he retired/died in 1906 someone said “I hope we won’t be linked with Whitley Chapel any more”, while someone else said he hadn’t been as good as the bloke who had preceded him. 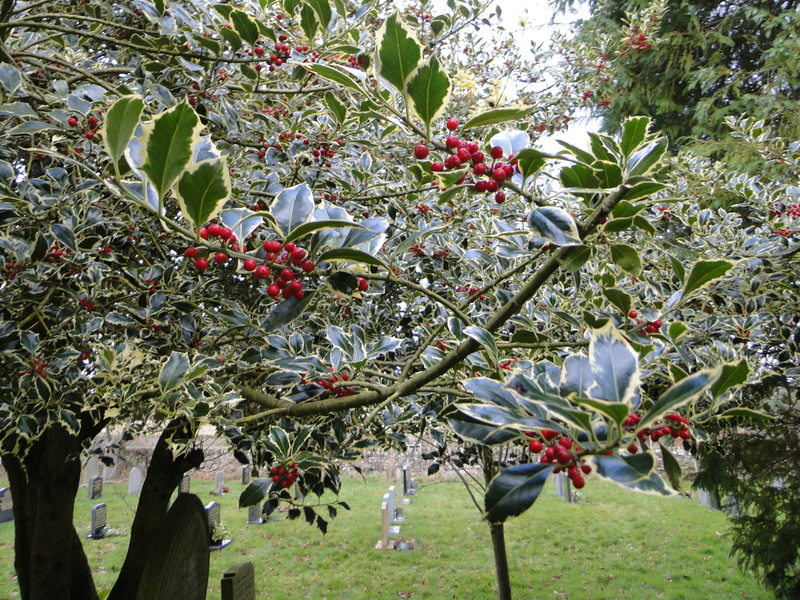 Let’s head back outside – having found plenty to look at and think about in this ordinary little church (the final treat was a good selection of leaflets in the porch, places to discover and walks to enjoy. A Hay Meadow walk sounds fun – but not in December). 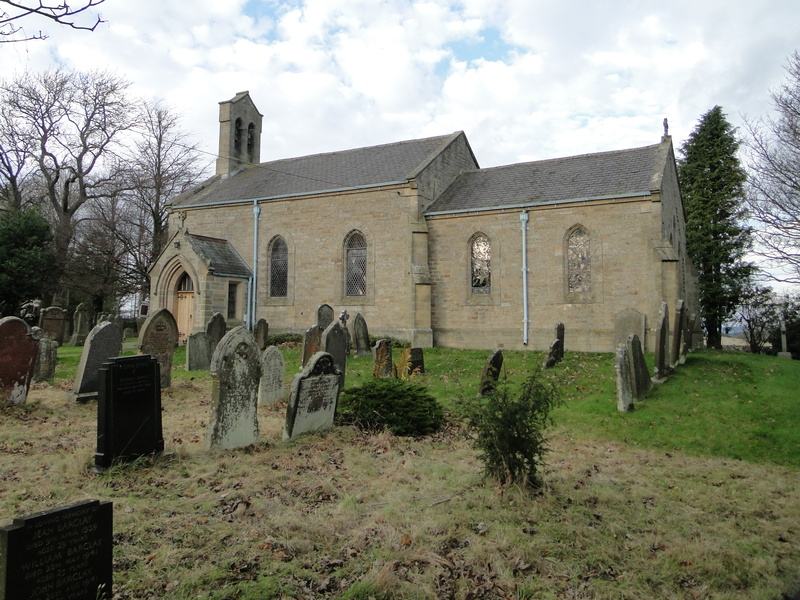 The original church here was linked with Walter de Bolbec whose seat was at Bywell. 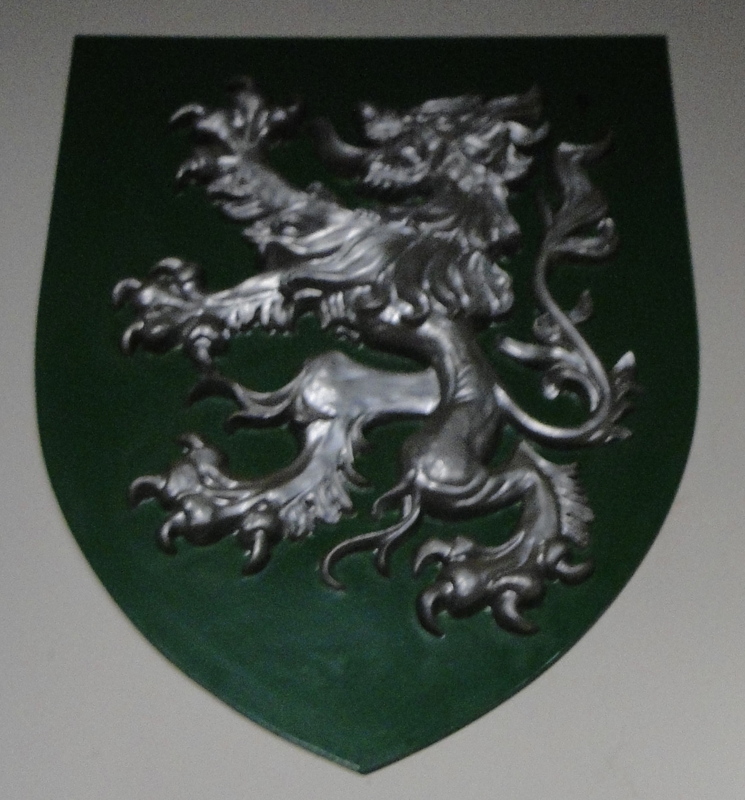 In 1165, gave lands from the old earldom of Northumbria at Blanchland to the Premonstratensian Order to found an abbey “to God and St Mary and a house of twelve canons.” In the C13 Gilbert de Slaveley granted lands to the prior and convent of Hexham. 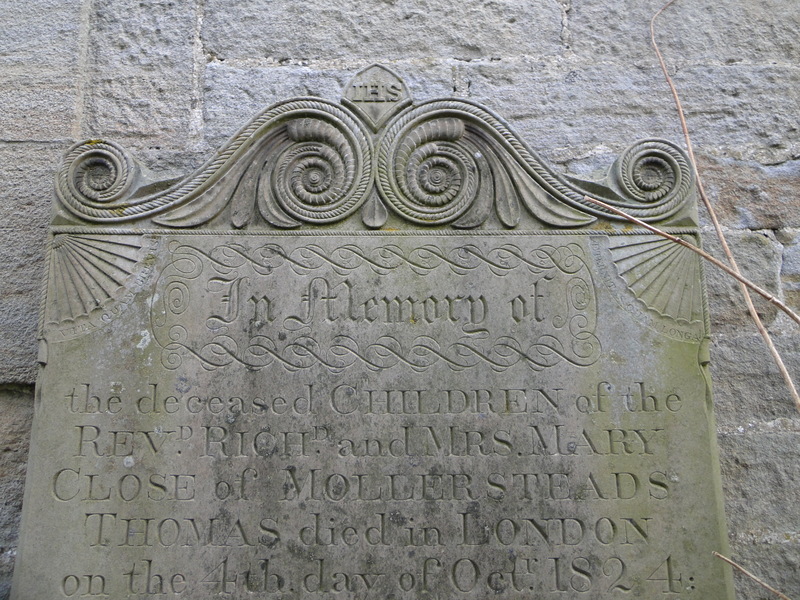 At the Dissolution in 1537 Slaley church with its lands ceased to be the responsibility of Hexham and, like Blanchland, became the responsibility of St Andrew’s Bywell. 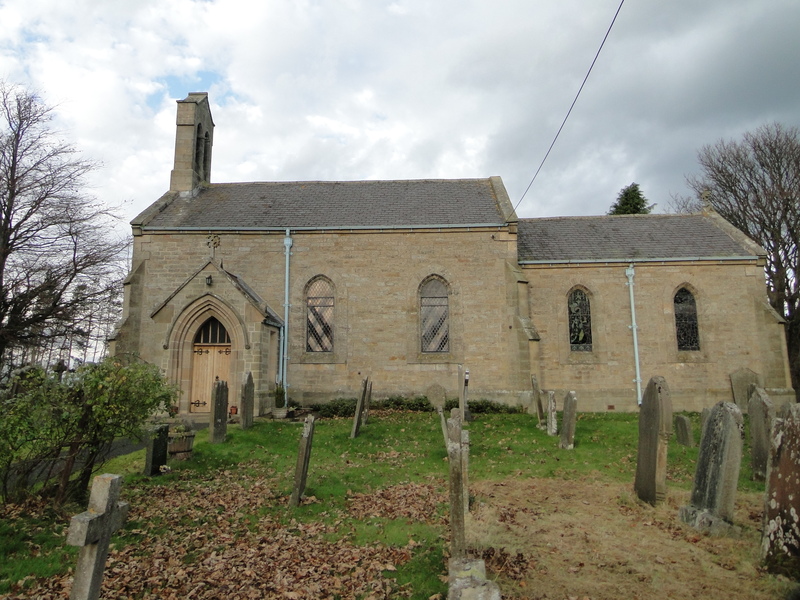 In 1719 St Mary’s Slaley became a parish church in its own right. It was dilapidated only 100 years or so later, and was rebuilt in 1832. 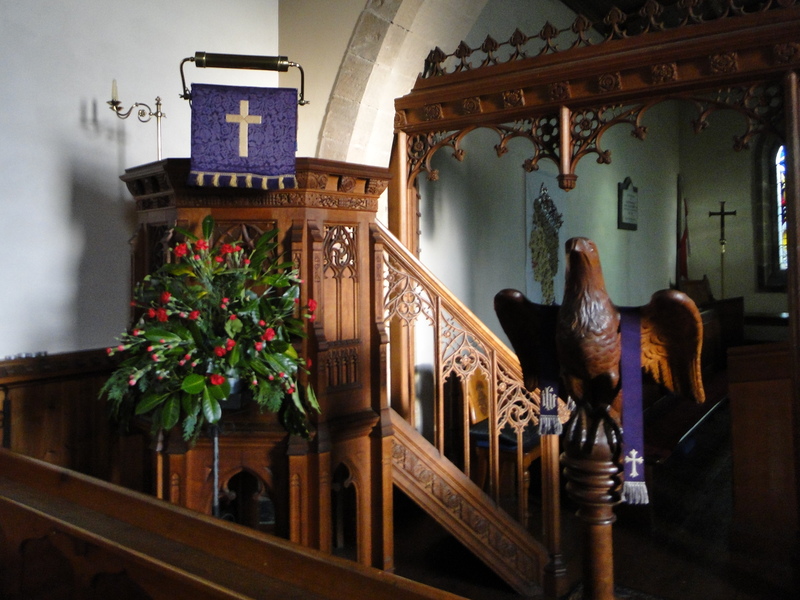 There were box pews, a gallery and a three decker pulpit, which lasted until 1907 – how on earth did they fit three decker pulpit in?